I received these products from my WonderBox Dec 2012 Christmas edition. Basically, I received a shampoo and a hair mask. This shampoo is designed for highlighted or sensitized color treated hair. Retailing at Rm 78 for 250ml. A bit pricey but as for high range hair products the price is worth it. 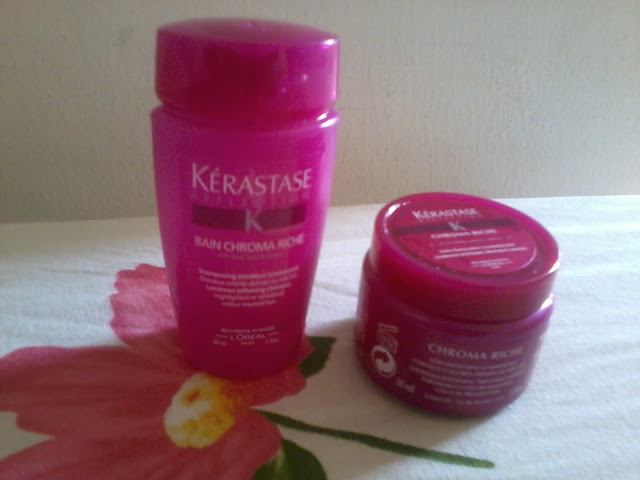 What I like about this is that I found that my hair somehow becomes shinier after using it and my hair felt softer. other that that i also like it because the bottle is in pink :) haha! What I dont really fancy about this shampoo is.. The bottle cap, i thing the packaging would be more friendlier if it is not bottle cap. Other than during application, i found that it doesn't really give me bubbles or foams.. 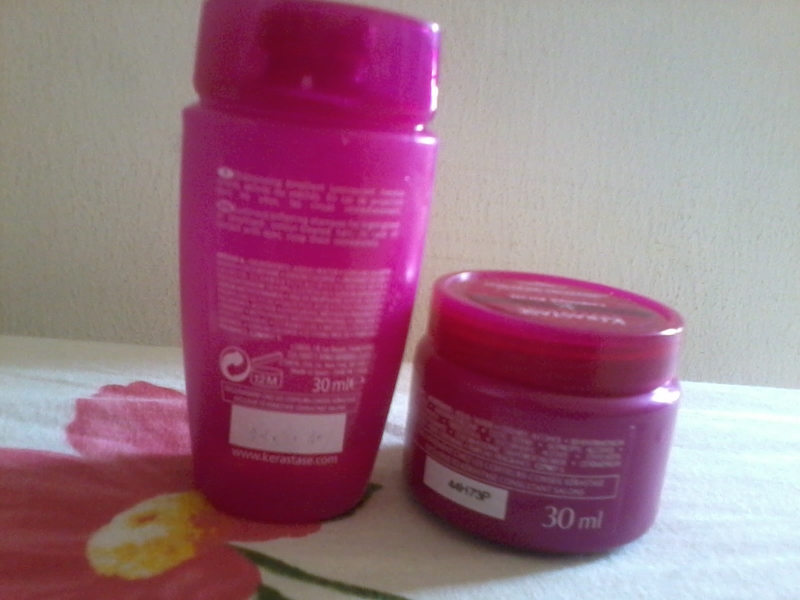 Compared to my other shampoo even if the amount used is the same. This mask is retailing at Rm136 for 200ml. A bit pricey for normal usage.but you can buy it and use it once in a while alternate with your other hair mask :)From the instruction label, we need to put hazelnut sized amount to towel dried hair leave on 5 minutes then rinse off.Being me, i put more of these products on my hair.I put like a big 50 cent size :p since me hair is long n so thick. I believe it needs more than a hazelnut size for a total coverage. Those who also gotten their Christmas box, what do you think of these products? Have you tried it? Hi really great post, would love if you would like my post too !